This kid is doing it wrong, never do a wheelie when your feet are on the ground and you are short. 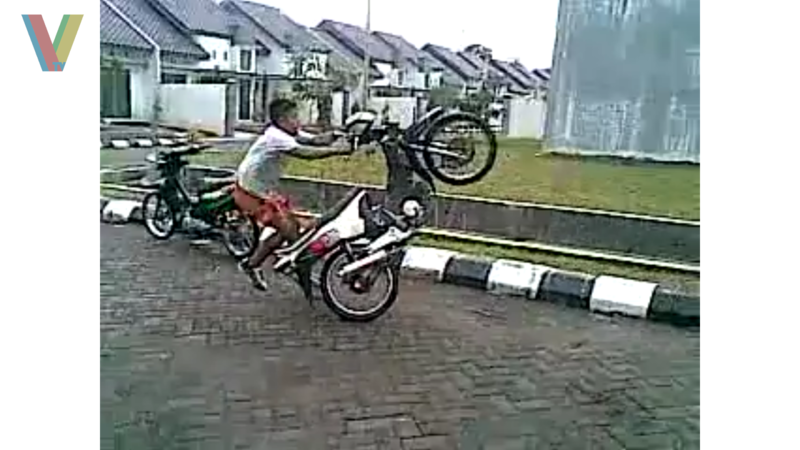 This video is recorded by his elder brother who goes for laughing over the accident he made. No response yet to "Scooter Wheelie Fail"